It took just over one year to complete, but Buzz Aldrin has finalized his divorce from his third wife, according to TMZ. The divorce order between the couple was signed three days after Christmas and Lois Driggs Cannon will receive half of Aldrin’s fortune. Cannon will receive half of a $475,000 bank account and half of the profits from Aldrin’s businesses, stocks and trademarks. One of the trademarks that Aldrin owns is the “Astronaut with Flag” design. Cannon gets to hold onto her 1988 Mercedes as separate property in the divorce from the astronaut. She might want to get her license plates changed though as they say “Moon Gal” on them. It just does not seem right to keep those license plates after divorcing the country’s famous astronaut for almost all of his money. 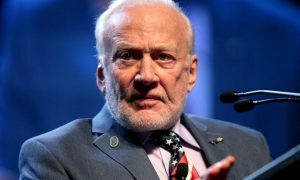 Aldrin agreed to pay Cannon $9,500 per month in spousal support to go along with an additional 30 percent of his annual income, which is well over $600,000. 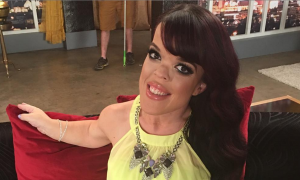 The couple does not have any children. 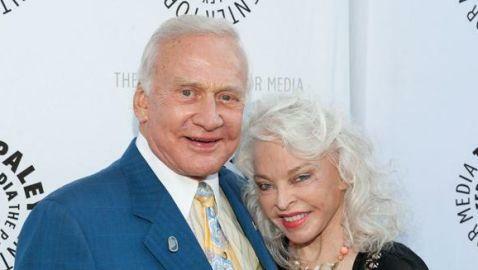 Aldrin filed for divorce from Cannon in June of 2011 following 23 years of marriage. The petition for divorce was filed in Los Angeles and Aldrin cited “irreconcilable differences” as the reason for the divorce in court documents obtained by TMZ.